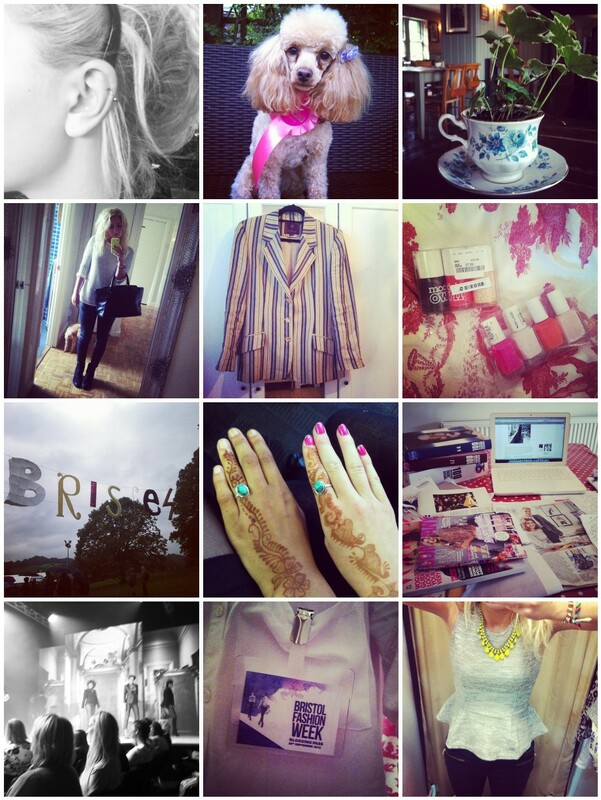 My new cartilage piercing, my little Audrey bear after her groom, pretty table decor at the Battleaxes, quick Instagram 'ootd', my new Mulberry blazer, Tk Maxx bargains, Brisfest, henna, crazy table full of inspiration for personal statement writing, Bristol Fashion Week, blogging pass, new boucle peplum Topshop top. I've taken so many photos over the past couple of weeks, it would be impossible to post them all (i'm a little OCD on the amount of images I display - they all have to add up to twelve). But here are a few things i've been up to, i've been incredibly busy trying to do school work, socialise and update my blog; September is always a busy month!